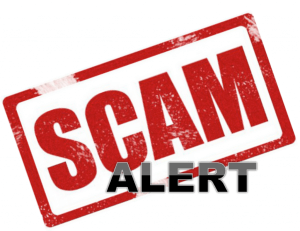 Home » Articles » Is OptioNavigator a Scam? If, you’re interested in binary options, I am sure you are aware of it’s latest popularity. More and more traders, beginners as well as the experienced ones, try binary options and a number of scam systems grow with their growing popularity. Whether they’re scam systems, fraud websites or unregulated not legitimate brokers, it’s always important to be careful. Scammers always focus on novices that don’t know much about binary options. An inexperienced trader has no idea how to spot a fraudulent system and what red flags they should look for. Is OptioNavigator legitimate or a scam? Optionavigator, also known as Option-navigator is one of the many automatic trading systems. It’s very similar trading system to BinaryBotPro that we’ve already talked about. Optionavigator is a system that you can’t try for free, you have to deposit money first. There’s nothing wrong about that, but there might be – depending on the broker the system recommends. With such websites, you never know what happens to your money and you can even lose it in a flash. The website where you sign up to this automatic trading system, has no explanation, no information on how the system chooses the right trades. No useful information whatsoever. The only information you’ll find are how to open an account and how everyone makes money with it. 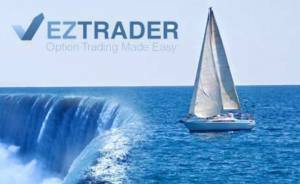 If you want to use this system, you have to open an account with the broker EzTrader – a scam! This broker isn’t very popular these days and you could find couple of complains on their part, which is why you won’t find it in our list of recommended brokers. Optionavigator works in the same way as BinaryBotPro. The system suggests you trades to enter. Here is where an interesting situation begins: a trade that the system suggest can’t be changed, you can only deny or accept it, which is weird. It’s silly to not be able to trade as you please. These automatic trading systems are definitely a fraud! You can make your own mind about them, but if such a software existed, would anyone give it out, we can say for free? It’s silly, because if someone had such a software, I am sure they would use the chance and make a lot of money. Second if it did exist, everyone would make a lot of money on it, which means bankruptcy for brokers; that’s logical. Binary options trading isn’t as easy as you can read everywhere. It’s not just about depositing money and entering a trade that someone gives you. It’s important to prepare, learn, move forward and only this is the right way how you can become a successful trader. If you really think that it’s only about depositing money to the broker and starting to trade without knowing anything about binary options then you’re wrong. You’ll much probably lose all your money and it’s going to be your fault. If you are just starting to trade binary options and have no idea where to begin, I recommend reading our tips for beginners that are written precisely for those who are just starting out.